Although most of our outdoor Laser Tag events run on Saturdays and Sundays as standard, we do open the venue on many midweek dates during half terms/summer holidays, as well as running lots of private midweek events for Laser Tag parties, birthdays, families, schools and club events. Currently due to popular demand, as well as Saturdays and Sundays we are also open for public Laser Tag games on every Friday during half terms and summer holidays! 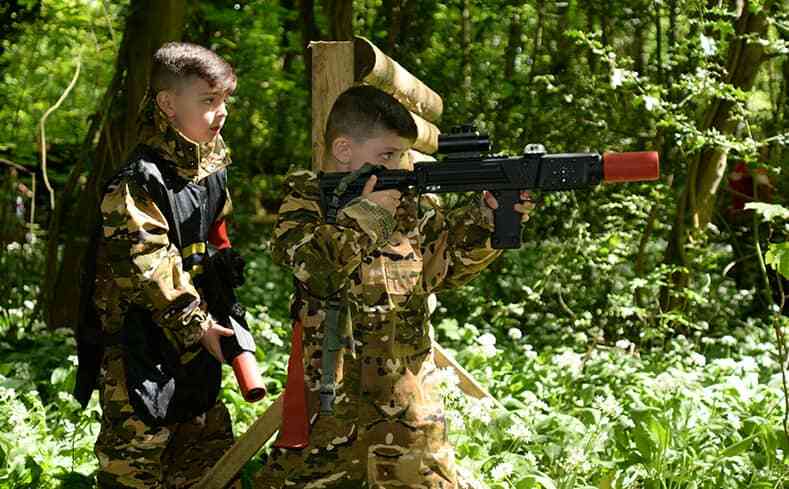 We know that finding fun things for kids to do throughout half terms and summer can be difficult, and pulling them away from a screen or computer games can be even harder, so why not get together with some friends or family and book them in for an awesome time running around our scenic forest playing Laser Tag! Pre-booking (as always) is essential. Simply Check Availability and Book Online onto one of our school holiday Fridays to get involved. Sessions are 2 hours in length and come fully inclusive at the same price as our normal weekend Laser Tag events. Looking to organise an unforgettable Laser Tag party? Or want to get your friends or family together for a private Laser Tag game? Or are you a teacher or parent looking for something truly unique? Then check out our Private Midweek package, where we open up our Laser Tag arena just for you and your group! This package is available every weekday subject to availability, as well as for evening events during the longer summer evenings! Fully inclusive for ages 6 to adults. No minimum number of players. Fewer players? Even more games. 5 Laser Tag games minimum over a full 2 hour session. Extended 3 or 4 hour sessions also available. for any additional players. 140 player capacity per day. A 9″ pizza, a dip and a drink included per person. 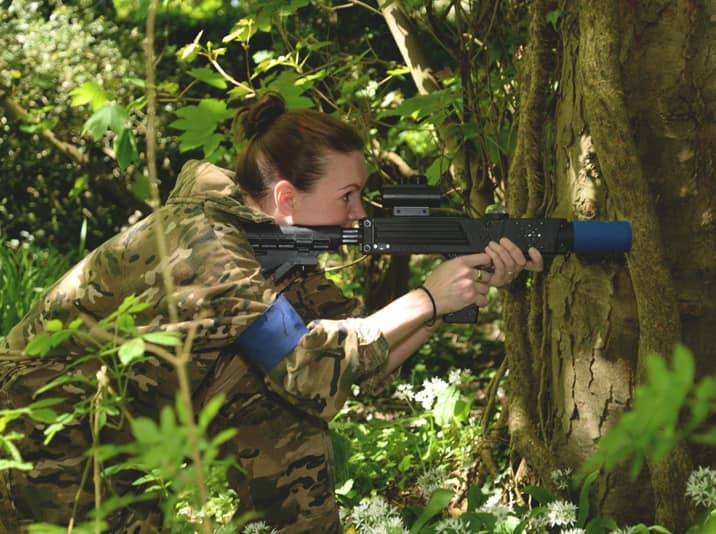 Full use of our forest venue and Laser Tag arena for your event! Choose your own timings to suit your needs perfectly. Scoped Assault Rifles, Semi-Automatic Sniper Rifles and Light Machine Guns! The best Laser Tag Equipment, gun slings and Camouflage Ninja overalls. The best professionally trained staff to host your private event to the highest standard. You can book your Private Midweek Laser Tag event over the phone or we can send you an online payment link, confirming your date once paid. As we open up our venue/Laser Tag sessions specifically for each Private Midweek group, your potential midweek date won’t show as ‘Available’ through our Check Dates page online.